Fun Friday: Happy Three Day Weekend! 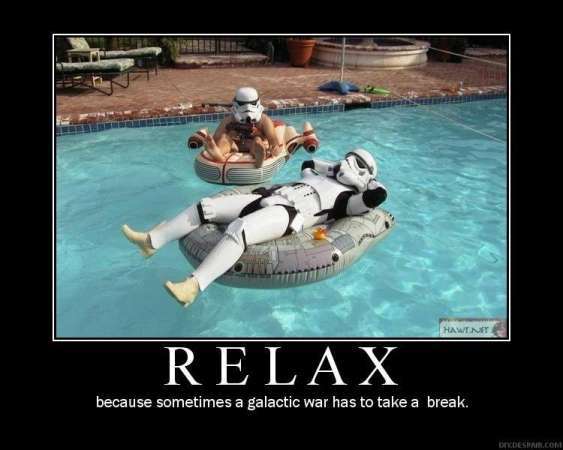 A late Fun Friday to wish you a relaxing Memorial Day Weekend! Be safe out there! Okay, you all know that sometimes I skip myths and legends to feature something out of popular fantasy or crossover fiction that I just think is really, really cool. Today is one of those times. We’re all readers here, right? So somewhere within us, even if we buy our own copies of every book we’ve ever read, somewhere within us is a yearning for a great and perfect library. Well, in Jasper Fforde’s Thursday Next series a world where you can—if you have the gift—actually jump into books, that library is the Great Library, the library wherey each and ever book is alive. Fforde compares everyday books versus Great Library books to photos versus the people they represent. 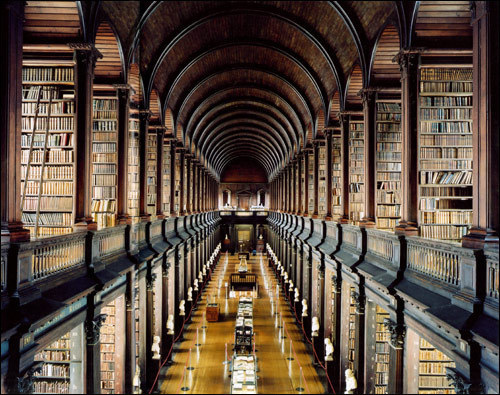 The Great Library is a bit like an intermediary between fictional (or literal, as there are nonfiction books as well) worlds, and it contains every version of every book every published, alphabetically by author on twenty six separate floors, one for each letter of the alphabet. In the Well of Lost Plots—the subterranean levels of the library—it also contains every version of every unpublished and/or unfinished manuscript, as well, and there are places in the Well of Lost Plots where books are demolished bit by bit and can be sold off piecemeal to be turned into something new. In the main section of the library there are also the basic creature comforts of tables and chairs at which to read, of course. I’ve always been enchanted with libraries, myself, but a Fforde just makes me want to live inside of this one. The reading experience of these Great Library books is supposed to be the best reading out there—nothing can distract you, your mind doesn’t wander, smells and tastes become real as you read of them… it’s a little bit like book heaven. A lovely, fictional book heaven. 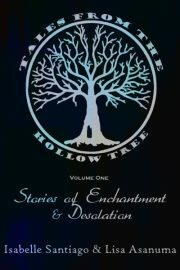 We here at Tales From the Hollow Tree love to read. But between the two of us, we cannot possibly keep up with the wealth of new books coming out each and every month in the genre we all love so much. So we’re looking for a few guest bloggers willing to post some honest and objective reviews for some of their favorite YA paranormal, fantasy, and science fiction books. Now we realize we’ve had a real shortage of vamp books here. Lisa and I tend to be more into fantasy than paranormal, quite frankly, but that doesn’t mean there aren’t some great books out there that we’re missing. And seeing how they’re everywhere in the market, it’s a very big hole that needs filling. So if you’ve read some books that you’d like to talk about, we’d love to hear what you have to say! Please keep in mind, we do not tear down writers on this blog. So if a story ends up being a disappointment, by all means tell us why, but be kind. We’re writers and readers and we know what it feels like to get flamed. It’s not fun. So we don’t allow it. If you’d like to apply to be a guest blogger, please email us at hollowtreetales AT gmail dot com. Tell us a little bit about yourself, link us to your blogs or sites, and we’ll get back to you! The cover on my copy of The Lightning Thief by Rick Riordan has a quote at the bottom calling it “riotously paced,” and boy, is that ever accurate. The Lightning Thief is almost as ADHD as its hero, Percy Jackson, but when it comes to quick and light reading, it definitely hits the mark. Riordan flips through mythological characters and storylines like a fly jumping from one piece of fruit to another, and each little morsel of mythology is presented in a way that’s both fun and educational—no worries that you’re missing out on a good joke or something just because you’re not a scholar on Greek myths. But let me back up a little bit. Percy Jackson is kind of the Harry Potter of the Greek mythology world. He’s not an orphan, but he is a misfit who’s been kicked out of a lot of schools for learning and behavioral problems. And then one day his math teacher tries to kill him—literally. He then learns that not only is his best friend actually a satyr, but his Latin teacher isn’t exactly as meets the eye, either. Soon he’s headed to Half Blood Camp, and claimed as Poseidon’s son. Not long after that, though, it’s learned that Zeus’ object of power—his master lightning bolt, has been stolen, and someone has framed Percy as the thief. With a couple of friends along for the ride, Percy has to recover the stolen item and return it to Mt. Olympus before the Summer Solstice. A big enough task as is—considering who everyone thinks the real thief probably was—but things are made that much worse by the fact that monsters are chasing them down at every turn. I have to admit, the writing in this book isn’t the highest-quality stuff that I’ve ever read. Most of the side characters are little more than cardboard cut-outs that talk, and if there weren’t so much mythology to draw from, these might not be very good books. But the fact is, there is a ton of mythology to draw from, and Riordan weaves it so entertainingly into Percy’s trials and troubles that these books are really out-and-out fun. I’m already a quarter of the way through the second one, and the action and reading doesn’t slow down at all. The Lightning Thief is kind of a formulaic book, but the formula works. Well. And I’m honestly flying through these book. Well, as fast as a crazy, full-to-the-tilt schedule allows me to, at least. A- for The Lightning Thief. Unfortunately, The End did little to answer most of the questions raised in the last six years and many of the mysteries that made the island great and magical and unique were just kind of written away by what felt like a cheat (no, they didn’t just wake up from a dream, the writers would have been murdered by fans for that, though it’s almost as bad). Just when I thought I understood what was going on, what the island was and was meant to do (four episodes ago), I was proved wrong. And not in the good, ‘oh man that’s brilliant and way better’ way. But what about you, readers? What did you think of the Series Finale? Was it everything you’d hoped for? Sound off! La Pincoya is a water sprite, said to guard the seas surrounding the southern island of Chiloé in Chile. 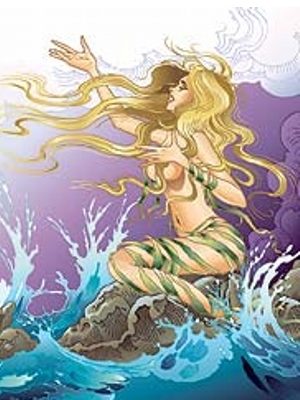 She is a personification of the fertility of the ocean, and is said to perform a ritual dance on the beach—if she performs this dance facing the ocean, the sea (and the fishermen who work it) will have an abundance of fish, but if she dances facing towards land, or away from the ocean, then the fish will be scarce. She is said to be a very generous creature, though. She is the daughter of Millalobo, king of the Chilotan sea, and along with her sister, La Sirena Chilota (a mermaid tasked with caring for all the fish) and her brother (and husband) El Pincoy, she helped to carry dead sailors onto La Caleuche, a phantom ship where the deceased were able to carry on as if they were still alive. This ship is said to be glimpsed at times, with sounds of a party drifting from it, but it always vanishes from sight. Book Geek Wednesday: What Are You Looking For? Lately, I’ve had the hankering for a really great book. Something YA with a little intensity, a great romantic story with chemistry that leaps off the page and a storyline that feels fresh and interesting. Am I asking for much? Maybe. But though I’ve enjoyed the last few books I’ve read, I haven’t ‘clicked’ with one the way I’d like. That instant, unforgettable attraction. I have The Queen of Atollia in queue, as I love the political intrigue of those books, but I am in the mood for something a bit more magical and romantic. I’m enjoying E. Grace Diehl’s Kinlea Keeper, but it feels a little young, like the fairy tales I might have read as a child, which is not quite what I’m looking for. Overall, I’m at a loss. Does anyone have any book suggestions that have recently blown them away? I’d love to hear anything in the realm of YA fantasy, steampunk, historical, or scifi. Leave your suggestions below!